This is my easy Chinese restaurant inspired brown sauce that I make with lots of different vegetables but it is especially great with broccoli. And, it is great (!) leftover just like take out. Press the tofu. Chop up the peppers and broccoli. In a big skillet, saute the peppers in sesame oil. Cube the tofu and cook it in a non-stick skillet in sesame oil. Let the tofu get really crispy on the first side and then turn the cube and get as many sides crispy while the rest is cooking. Add the broccoli to the peppers and add 1/4 cup water. Cover the skillet and let the broccoli steam. 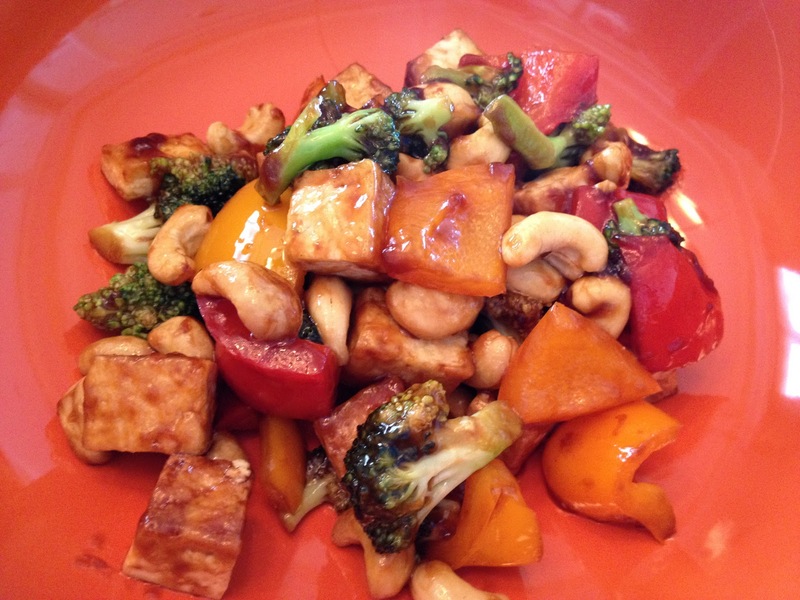 Whisk together the tamari, cornstarch, and toasted sesame oil and pour over the vegetables. Add the cashews and mix well. 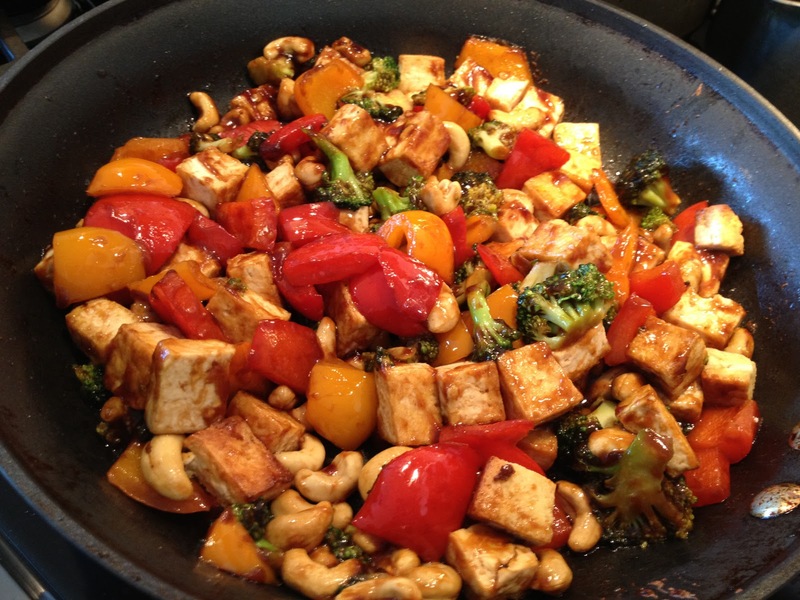 Turn out the entire mixture into the tofu skillet and toss to combine.